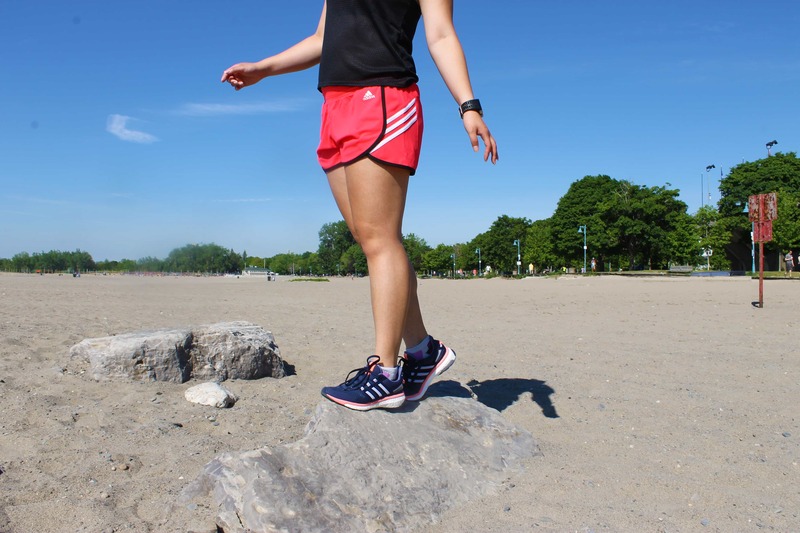 Disclaimer: I’m a Sport Chek Ambassador and this is a sponsored post. However, all opinions are my own. I appreciate your support of the brands who make this blog possible! Guess who got more workout clothes? Yup. That’s right. This gal. But considering I pretty much live in athleisure (my coworkers can attest to that), I think it’s perfectly fine to have a closet filled with mainly workout gear. 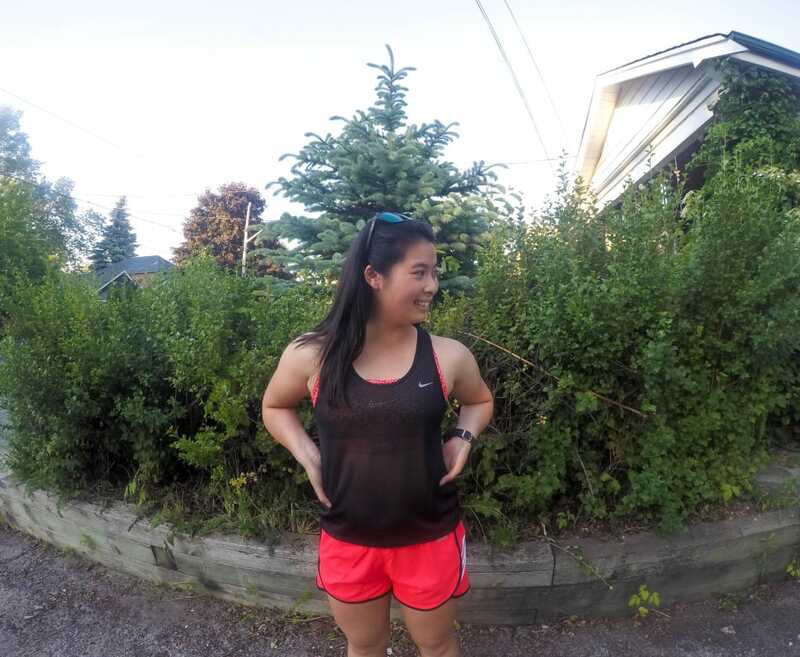 This week for Fit and Fashionable Friday, I’ll be sharing with you my current favourites from Sport Chek that are helping me #SweatBetter. This leggings have mesh leg panels for strategic breathability. I love how the purple on the side hits your thighs as personally find that it has a slimming effect. 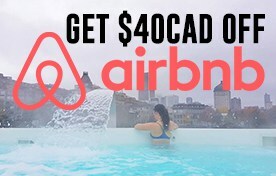 Always a bonus! Remember in my post about summer running must haves I mentioned how I needed more florals for the summer? These tights are the bomb dot com! I love how the floral pattern is so eye catching (Ro sure thinks so!) and the grey block on the back side makes it very approachable for those who wants to try floral leggings without jumping all in. I love how light weight and loose this tank it. As you know, I’m no stranger to the sports bra only runs once it’s hot. This tank is light enough that it doesn’t feel like you’re wearing a top so I love wearing it in the trails. While I like being cool, getting scratches on my mid section in trails is not something I like so this top is just perfect for that. It’s sheer which made H do a double take as it wasn’t his cup of tea but I absolutely love that it’s sheer! 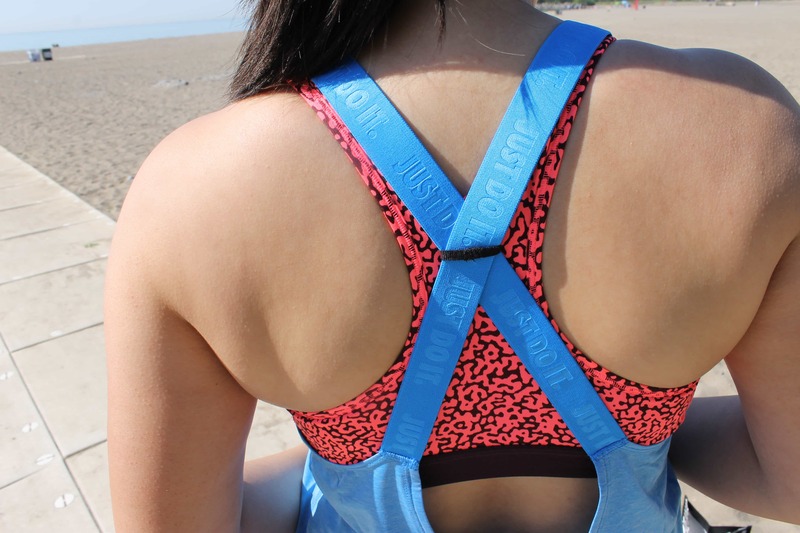 It’s such a fun way to show off fun sports bras. It also works great as a beach cover up or something breathable to throw on after a sports bra only workout. The shorts have a dual-layer waistband. I love how the knit overlay allows you to move freely. I was able to bike, run, elliptical in them without feeling constrained by the front of the shorts. I ended up going back to get this pair in grey too! I love how they shoes have a sock like feel to them as they hug my feet. I’ve mainly been using these shoes to lift weights in and the rubber pods wraps up so it improves traction. I also love how pretty they are! 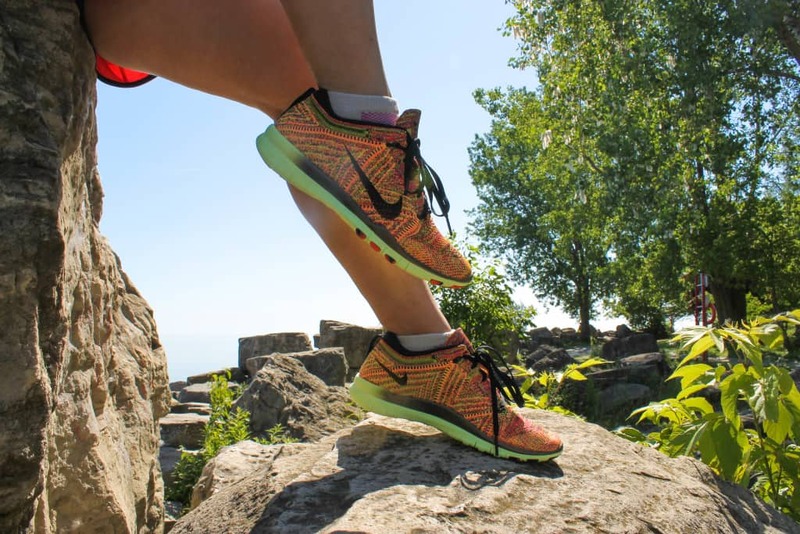 The flyknit is definitely eye catching and looks different from most running shoes. Last but not least, this adorable muscle tank. Not only is this my first ever muscle tank top, it’s slowly becoming a favourite. I love the way it fits on me and the message is a added bonus. Kind of tempted to wear this at the finish line of a race, just for a bit of humour haha. Anyways, I like how the top hits my top 3 favourite colours. 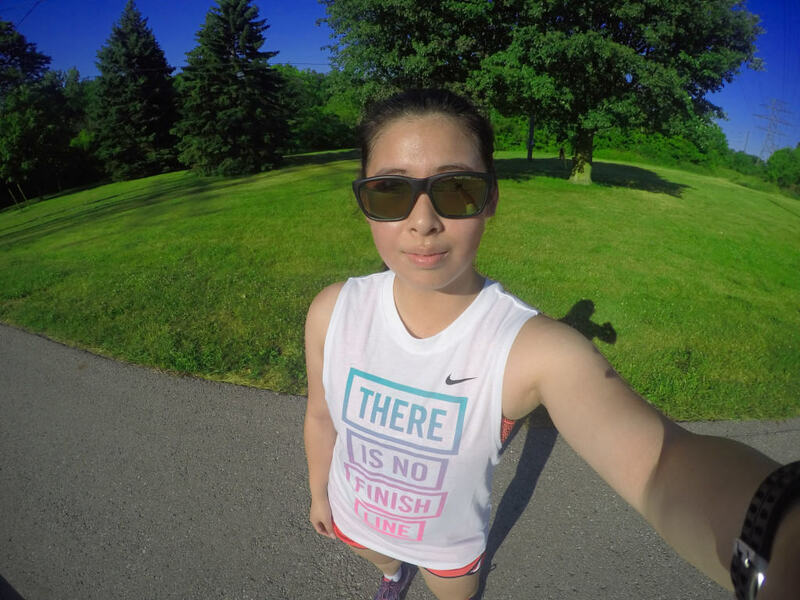 I ended up testing this top on one of the hottest runs of the season so far and the arm holes gave me a great range of motion in the trails and helped kept me cool. QOTD: What’s the last run-item you’ve purchased? How will you #SweatBetter with it? 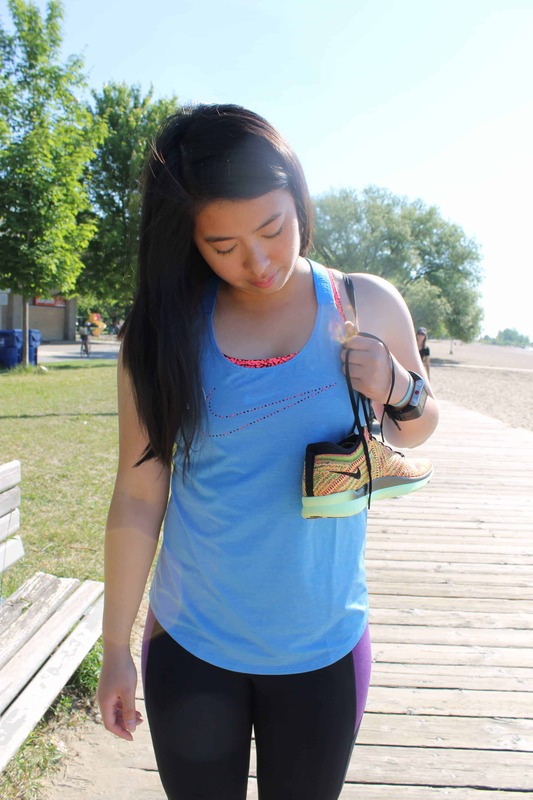 Linking with with Nicole from FitfulFocus for Fit & Fashionable Friday! There is nothing better than getting new fitness gear! I just scored some fun stuff at TJMaxx. 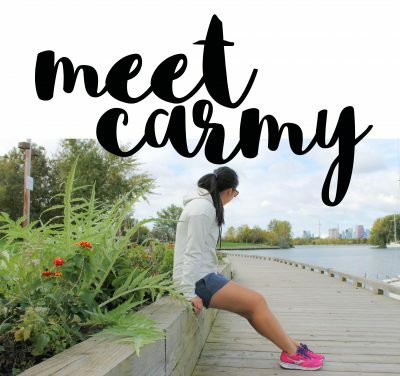 I have so much running gear–it’s an addiction! 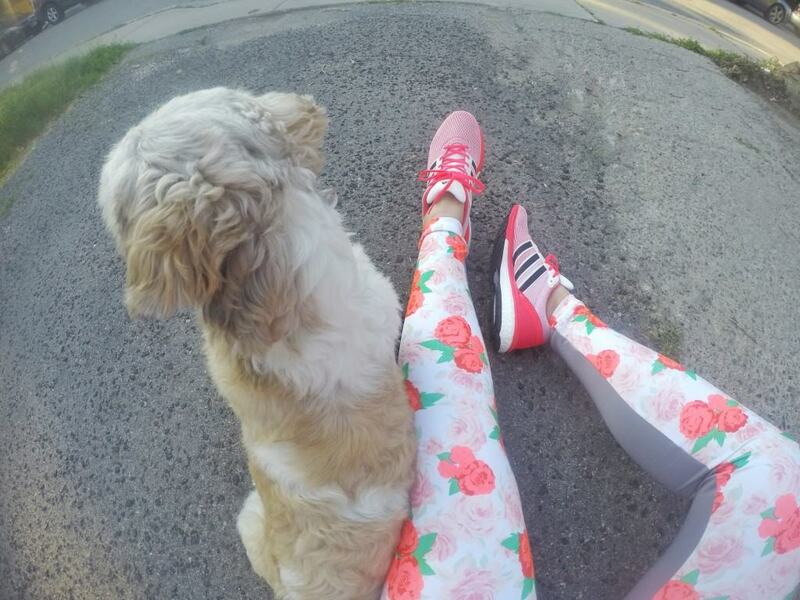 Those are some seriously cute fitness finds! It’s been way too long since I’ve stocked up! I need it all!!! I love that Veneer Tank! I remember seeing those floral Stella McCartney tights on IG – obsessed!! Also love that Nike keyhole tank. I love last muscle tank- super cute!!!! Hooray for more activewear! Those floral tights are awesome. My workout wardrobe is also much larger than my regular one! Super cute! Love the veneer tank. I can’t remember the last thing I’ve bought to be honest! I’ve been trying to limit my shopping for running clothes! I love that there is no finish line tank. I saw that in Sport Chek and almost bought it. I just bought a pair of fun run tights (MPG from MEC). I love the block colour pattern! ohhhhh I need to see it! It sounds adorable! I had a pair of NIKE Flyknit a few years back and loved them!!! I just bought some brooks sneakers and a pair of capri’s.